Hello ... Hello ... my old friends ... It's great to see you once again! 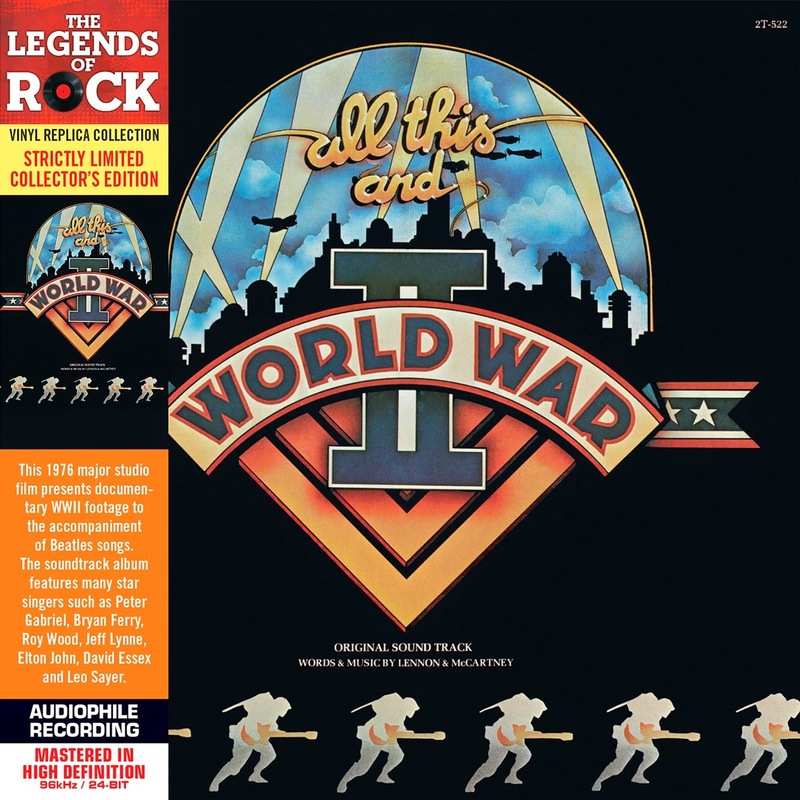 Fans of ELO, Jeff Lynne and Roy Wood will be pleased to hear that a limited edition CD release of the "All This And World War II" OST will be issued by Island Records on Monday 26th January. 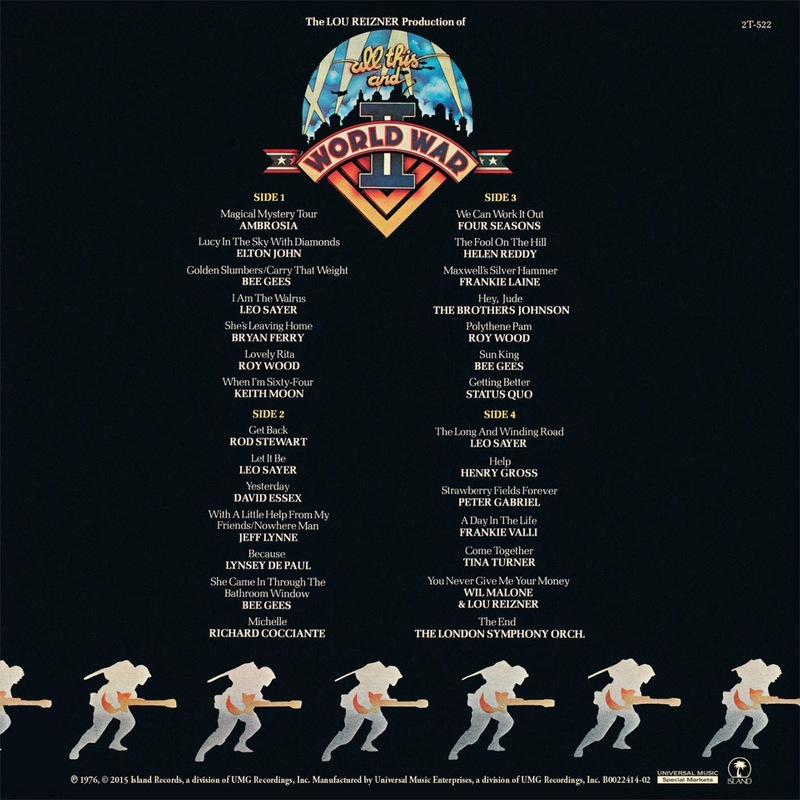 The 2CD vinyl replica edition features, of course, Jeff Lynne singing "With A Little Help From My Friends" and "Nowhere Man", Roy Wood singing "Lovely Rita" and "Polythene Pam" as well as the late Lynsey de Paul singing "Because". Not unlike "Xanadu", the film - released originally in 1976 - was another case where the original soundtrack was infinitely better and commercially more successful than the accompanying film whilst also being largely unloved by critics. ELO Beatles Forever [ELOBF] recommends the "All This And World War II" OST to those enlightened folks who enjoy the music of ELO, Jeff Lynne, Roy Wood, The Move, The Idle Race, 'Brum Beat', The Beatles and related artistes.